29.04.2019, 13:05 через 9 Дней 16 Часов 29 мин. 49 сек. 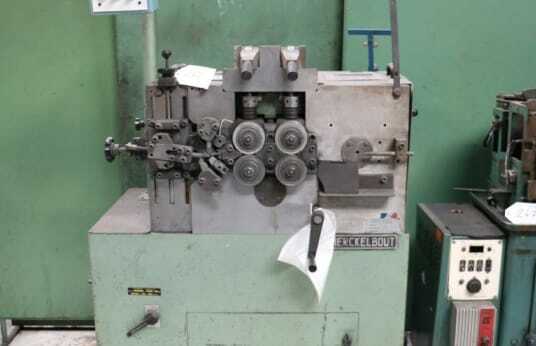 Spring winding machine, Maximum allowed diameter: 3mm, Minimum allowed diameter: 0.7mm, Maximum allowed spring diameter: 30mm - Cutting time: 0.3sec - Motor: 3kw, Stock number 99640. ATTENTION: Machine loaded by overhead crane.